constant and changing load conditions and are particularly suitable for variable air volume systems. removed from the backpan for diffuser installation and to provide access to an optional inlet damper. The design eliminates welding and assures a clean, smooth, blemish free painted finish under all lighting conditions. ous appearance that compliments the supply diffuser aesthetic. 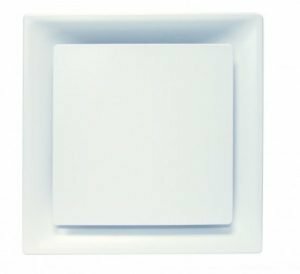 AUNI2 diffusers are available to suit multiple applications such as Lay-in T-Bar as well as surface mount where hard duct connection is required and Drywall/Plaster frame recommended for flexible duct connection and ceiling access. A variety of neck sizes are available to suit your system design. The collar is a full 1 1/4″ (32) in height for easy, secure connection. Standard finish is AW Appliance White (optional finishes are available).